This has to be one of the sickest TTT2 combo video previews ever. The past TZ Community Project vids have always been filled with awesome combos, but its going to be hard to top these! The WAY BEYOND Death combosBe sure to follow Theater10‘s youtube channel! This guy has found some practice mode glitches in Tekken Tag 2 that seem to occur only during Tag Assaults at the wall. Very situational stuff and I assume they are practice mode only or he would have showed it in VS mode as well. Also VERY cool stuff though. His new one with regular Jin is below – be sure to watch the ending. 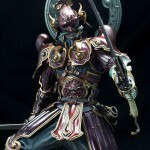 If you haven’t seen it yet, also check out his Yoshimitsu practice mode glitches after the jump and subscribe to his youtube channel for more. 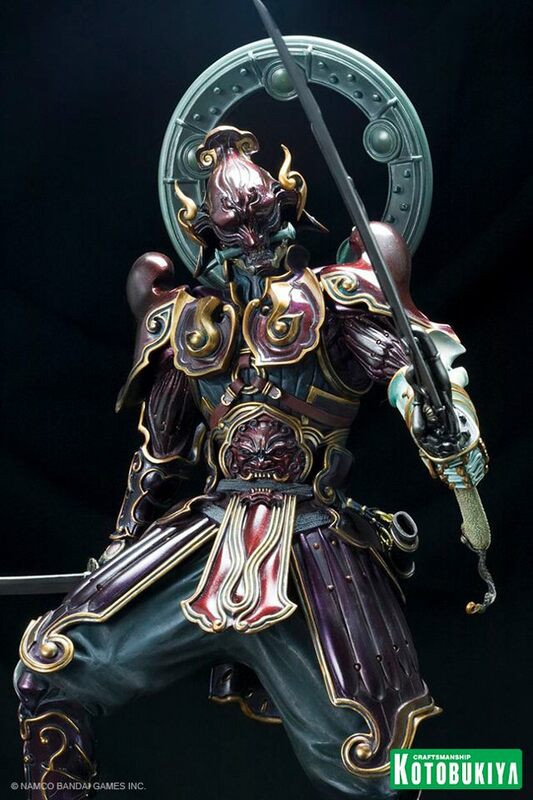 While there hasn’t been an official USA announcement yet, Kotobukiya just announced the cost for the Japanese release of the Yoshimitsu statue (check out our gallery of it here). The cost is a whopping 47250 yen, which by today’s exchange rate is equivalent to $622. There is a pre-order sale for it from Project Core for 34970 yen ($460) so hopefully when it hits the Kotobukiya USA store the price will be lower. 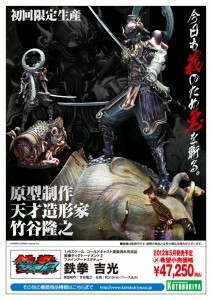 Update 2011/10/16: Added Harada’s twitpic for size comparison. Also shows Alisa concept art. 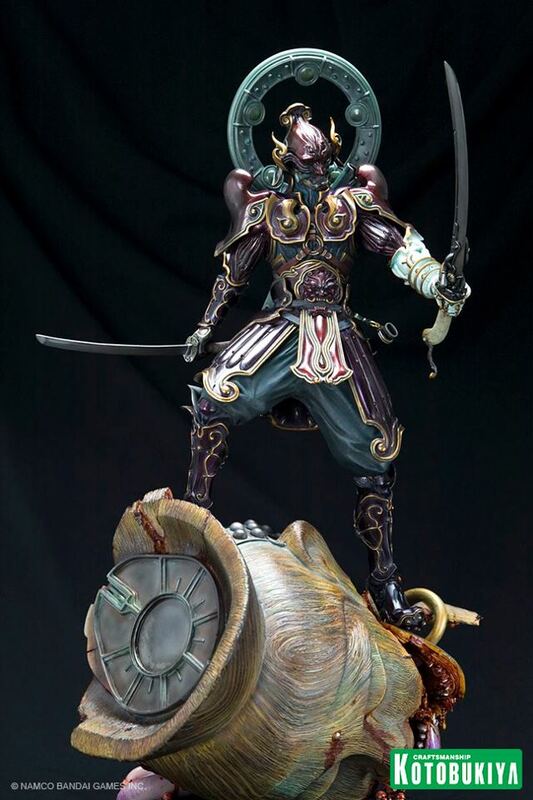 Earlier this year Namco showed off the Yoshimitsu statue based off the Tekken Tag Tournament 2 model. 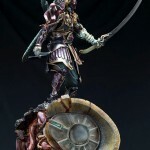 Yesterday Kotobukiya revealed the final statue with a base that is ridiculously awesome. Some are claiming it will sell for $300-$500… Right now, the Christie model is up for pre-order at $60. 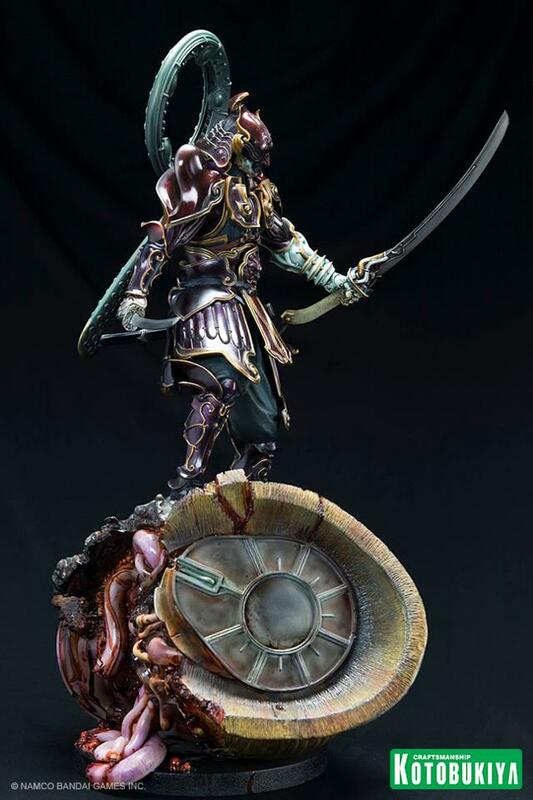 Hopefully the Yoshimitsu ends up being around the same price, however with the amount of detail in it, I think the estimates may be right. Separately, yesterday at New York Comic-Con they also showed off the concept for their Asuka Kazama statue. Maybe one day they’ll make Law.. Check out the rest of the images after the jump.